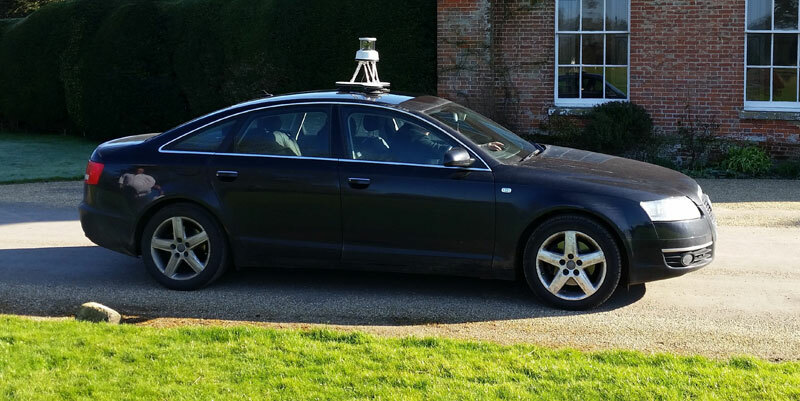 In vehicles cluttered with sensors, placement and field of view are critical. 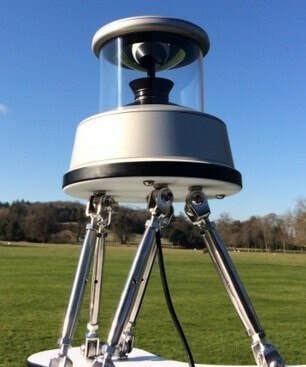 When placing a mobile or autonomous system in a higher risk environment, take no chances: It is commonplace that sometimes vital information is not recorded in the run up and aftermath to incidents, or software processing (such as stitching) can change the imagery recorded. 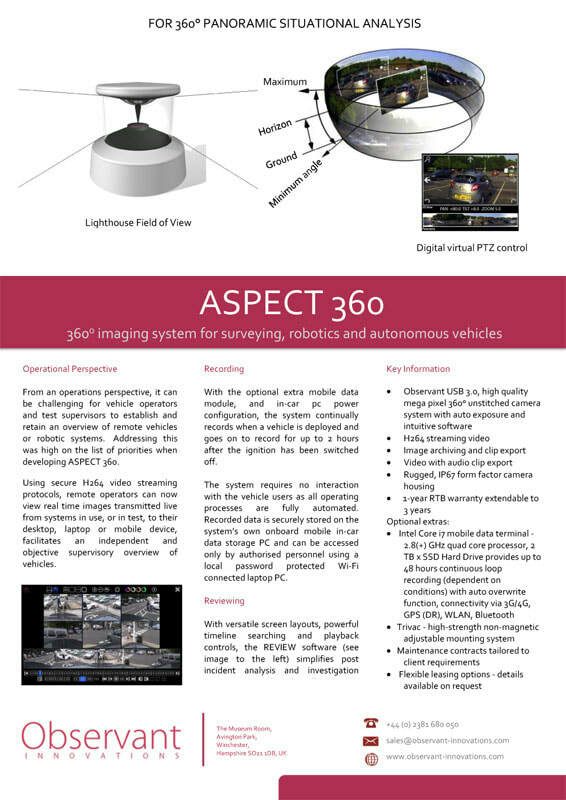 ASPECT 360 delivers a fully automated and secure solution, ensuring critical images can be independently captured and preserved with total data integrity. 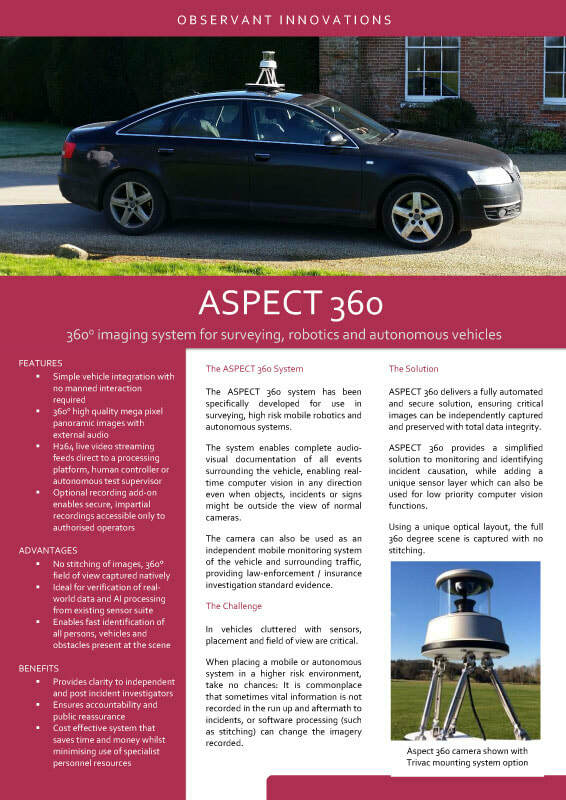 ASPECT 360 provides a simplified solution to monitoring and identifying incident causation, while adding a unique sensor layer which can also be used for low priority computer vision functions. Using a unique optical layout, the full 360 degree scene is captured with no stitching.